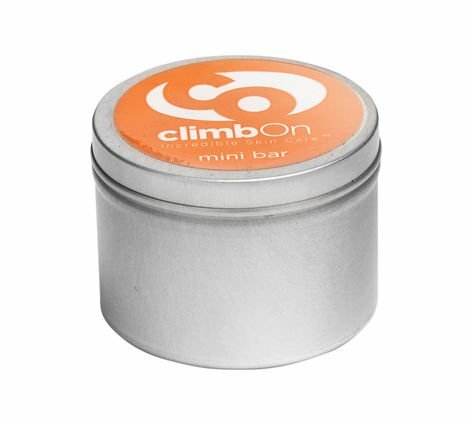 The climbOn Mini Bar is a multi-purpose product that can be used to soothe burns, cuts, scrapes, rashes, cracked cuticles and heels, tissue nose, road rash, diaper rash, abrasions, poison ivy...any skin issue that needs deep moisturizing and nourishing. It works on any skin type, any age of skin and pretty much, any skin condition, it's gone up against. It's a superhero of a skin care lotion.